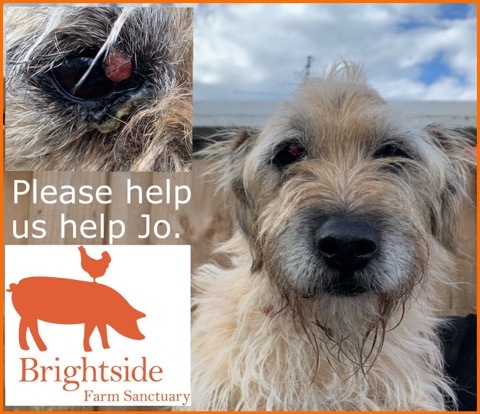 13 year old Jo has been surrendered to Brightside and he is in need of quite a lot of medical attention before he can go to his new home. Although Joes heart is not great he is active, very happy and loves to play with other dogs. Apart from the state of his mouth it’s hard to believe he’s an old dog. Jo has grade 4/5 dental disease. His mouth is in an extremely bad way and he needs over $1000 of dental work. He also needs a lump removed from his eye and the usual vaccinations etc. Please consider a tax deductible donation to help us raise much needed funds to get Jo ready for his wonderful new loving home. For Jo, what a sweetie. Happy to help as many orgs as I can. What a beautiful dog. Get well soon. For Jo wishing you well as you journey into a wonderful life. Awesome work that you do. 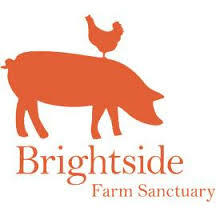 Good luck Jo you beautiful old thing and thank you Brightside for everything you do for the animals that cross your door, you are so amazing and special.